Each of our resident room doors has a piece of plexiglass attached to the outside surface. We ask our families to use this space to display a Memory Board. 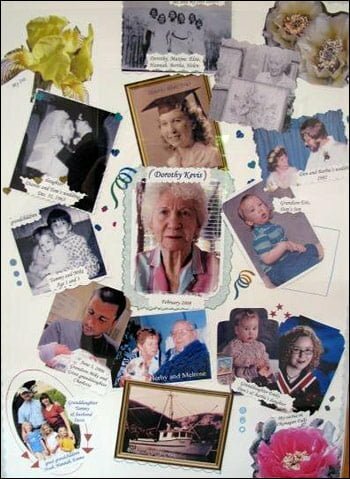 A Memory Board is a collection of pictures or documents that are special to your relative. The Memory Board will provide a good visual aid for your relative in locating their room. It will also help our staff and volunteers to get to know your relative more quickly and be the trigger for meaningful conversations. Please include name labels under each photo so that our staff can provide memory prompts. Bristol Board, sized 16 x 22” is available from the Activity staff.